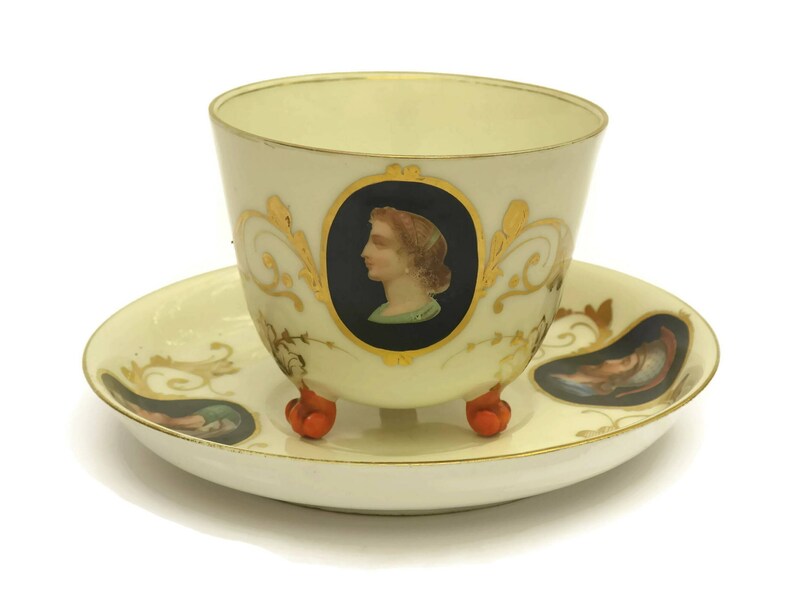 RESERVED Antique French Porcelain Tea Cup and Saucer Set with Medallion Portraits. 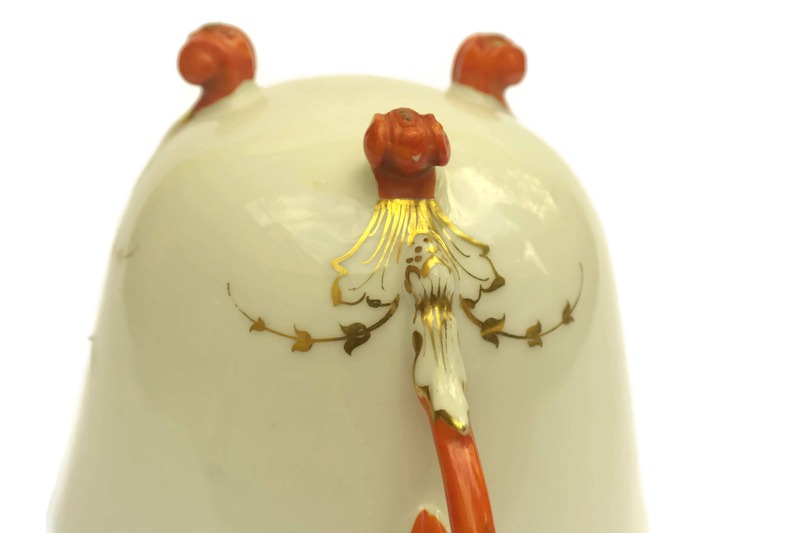 Antique China Teacup with Three Legs. Tea Cup Collection. 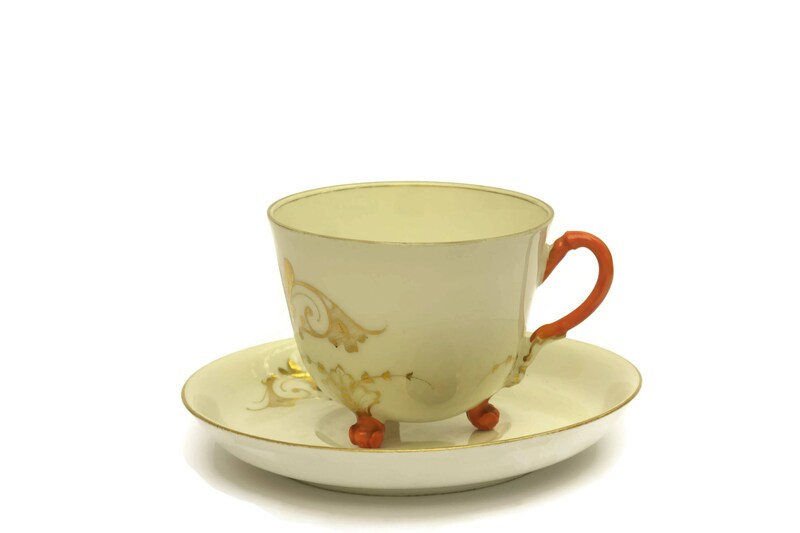 An exquisite antique French porcelain tea cup and saucer set dating to the late 1800's. 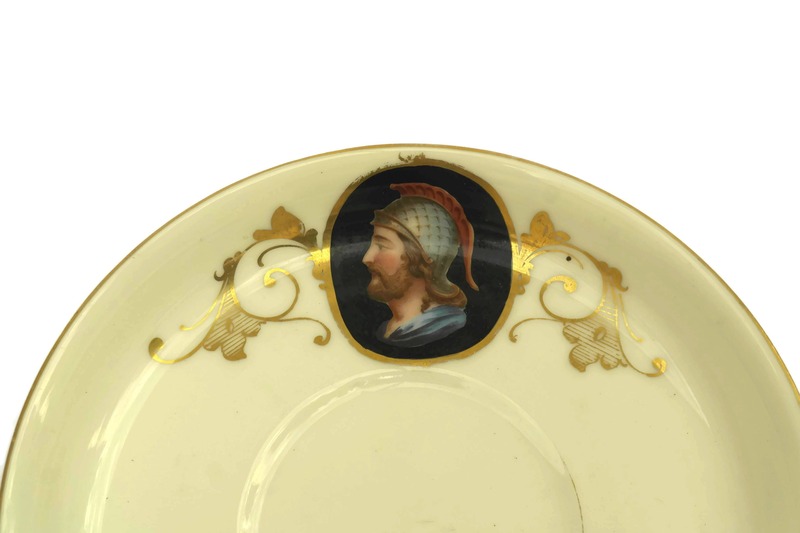 The large cup and saucer have been decorated with medallion portraits of men and women dressed in classic Roman fashion. 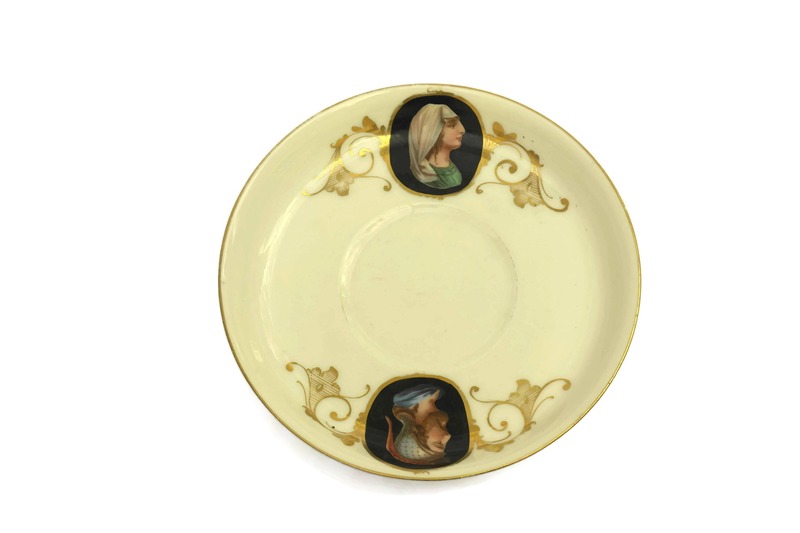 Both pieces have been hand painted with ornate golden flower patterns. 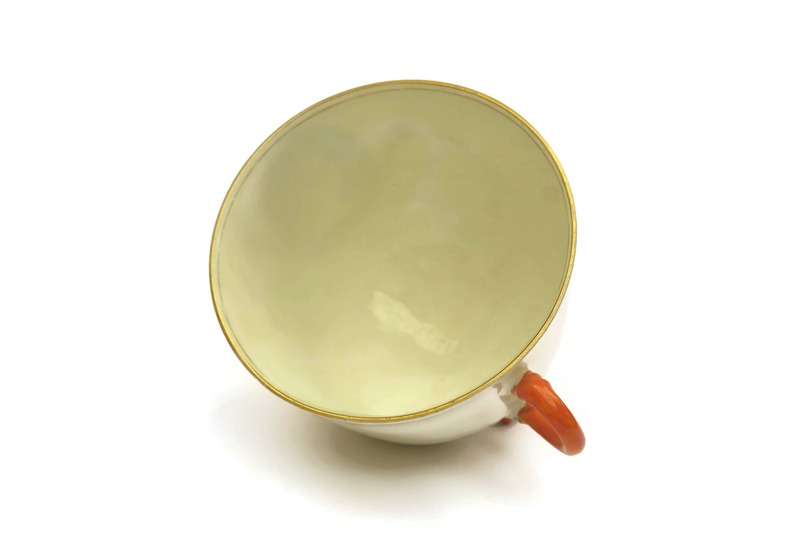 The tea cup has contrasting orange handle and three feet. 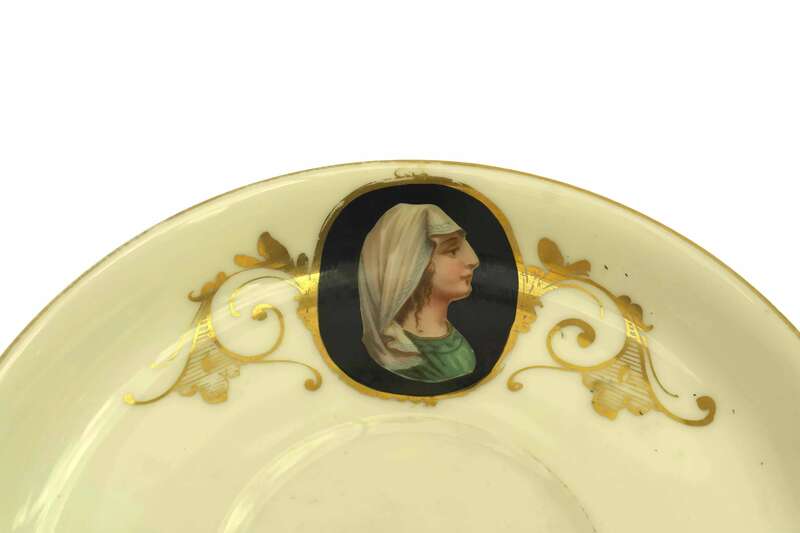 The transferware medallion portraits have a hand colored black background and bordered by golden frames. 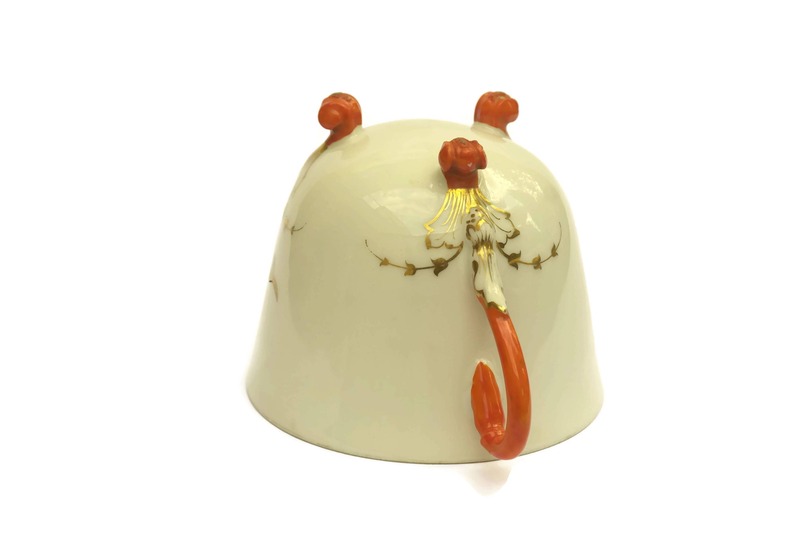 Cup: 3 1/2" tall x 4" wide (9 cm x 10 cm). 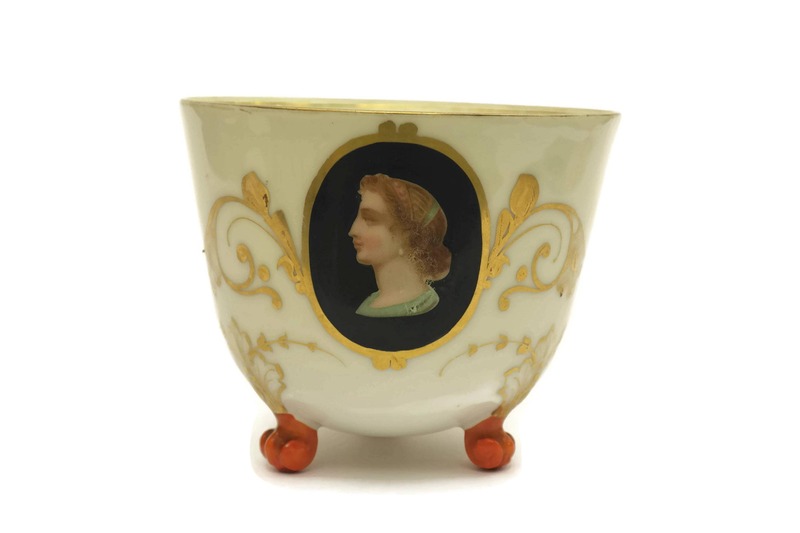 The antique porcelain cup and saucer are in very good condition with light wear and rubbing to areas of the gold decoration. 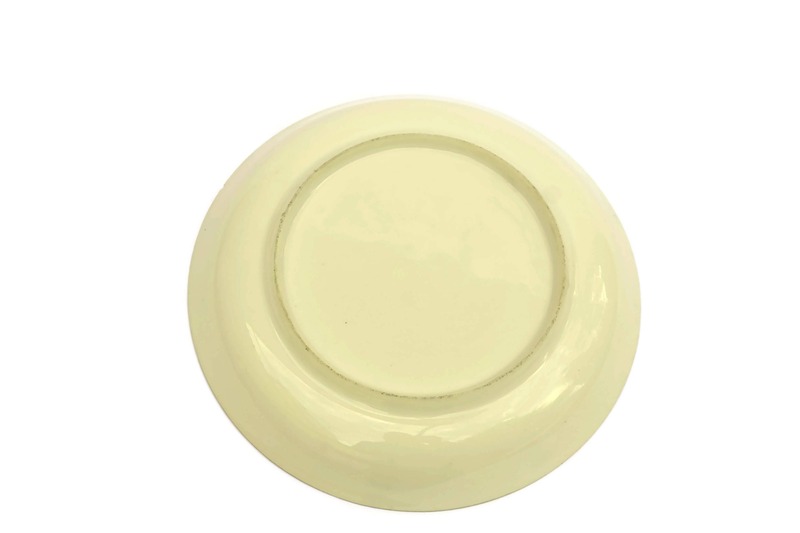 There is a tiny chip to the underside of the saucer rim. Wonderful and courteous seller. Item shipped promptly and very carefully wrapped. Came just as described, and with a lovely card from the seller. My first international transaction--Would definitely buy from again.